The industry-wide emphasis on adjustable fitting options for drivers to optimize getting the best results for golfers of all ability levels along with a move to making them lighter to allow players to create more clubhead speed– therefore more distance—continues with the 2012 models. Here’s a quick look at your choices for 2012, but be prepared to pay up to $400. 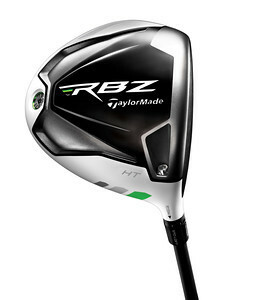 The RocketBallz from TaylorMade emphasizes clubhead speed with lightweight shafts and a thinner crown, offering the company’s trademark adjustable hosel with eight loft and lie angles. It is white and also comes in a tour model. 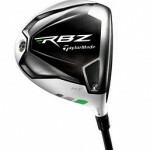 The 460 cc matte-white finish R11S is larger (460cc) is the only driver that cvan be turned in three dimensions with 32 more combinations of adjustability, covering 3 degrees of loft, 6 degrees of face angle and moveable 10 gram and 1 gram weights to change flight patterns.. The Cobra AMP features three face-angle settings along with lighter swingweights and longer more flexible shafts as the lofts increase. Cleveland’s CG Black is the lightest on the market at 265 grams, mainly because of a 44-gram Miyazaki shaft. The Cleveland Classic is 30 to 50 grams lighter than other drivers and features a retro persimmon look in silver, gold and chestnut. Wilson’s DXi Superlight is nearest in weight to Cleveland at 269 grams. The Tour Edge Exotics XCG5 is the next lighter driver at 271 grams. A more expensive brazing process is used to join the titanium face and body to an ultra-thin beta-titanium crown, allowing more weight to be added to the sole. A larger face provides a rebound effect off the face. The Nike VR_S features a variable thickness face–thicker in the middle and tapered toward the perimeter–designed to increase forgiveness for off-center hits and its adjustable head has eight face angles across a 4-degree range, 2 open to 2 closed. The Ping G20, designed with a low-density titanium head, repositions weight saved with a lighter shaft back to the head to deliver more mass. The Ping i20 features a sleeker crown to improve the aerodynamics and tungsten heel and toe weights to position CG lower and farther from the face. However, neither is adjustable. The Adams Speedline Fast 12ls features recessed curves (“trip-steps”) on the crown to reduce drag and are adjustable, including the option to increase the length to 45 ½ inches. The Bridgestone JB445 features a stainless steel weight at the heel and a short hosel to optimize CG and a titanium head with a thin crown to allow more weight to be moved to the perimeter.